Using a dating site is a common practice in today’s digital age, and certainly doesn’t carry the stigma it did years ago. Now, it’s even possible to search for dates who bear a resemblance to someone else, be it celebrities, co-workers, or people who you’ve been trapped in the friend zone with for years. The definitely not at all creepy feature has been added to the popular dating app Badoo. It’s mainly being used to hunt down celeb lookalikes, with Kendall Jenner and Emma Stone proving to be the most popular searches. It seems that many people are quite partial to Donald Trump doppelgangers, too. To use the feature, simply type one of the thousands of celebrity names into the system, at which point the facial recognition algorithms will search through 350 million users to find the closest match. You can also search for people who resemble your Facebook friends, or you can just upload a photo. The results will show local lookalikes first, but you should probably be prepared to do some traveling to find more accurate matches. There are some restrictions in place; both people must “Like” each other before they can start communicating. And if you happen to look like someone famous, or if you just don’t want to meet a person on the basis that you resemble their ex, it’s possible to opt out of the search results. In 2014, Match.com revealed a similar feature that let users search for people who looked like their exes, though it came as part of a package that cost $5000 for six months. 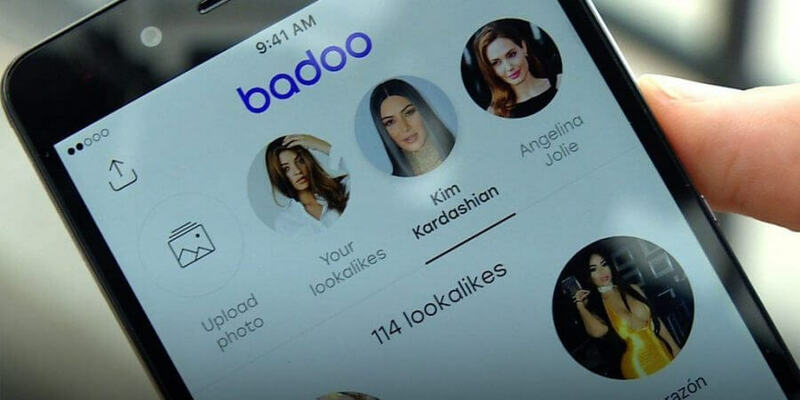 Badoo's service is now available to use in the free app. For those that are interested, here are the top ten most popular celebrity searches.